1. Once lit, RELEASES 4,000 CHEMICALS INTO THE AIR. 2. House has a hideous harsh cigarette smoke smell that is constant and harsh to breathe. 3. Change your clothes after smoking because your clothes absorb the smoke, especially before interaction with your kids. 4. With humidity, black cigarette soot on walls gets moldy. 5. Moldy basement contributes with cigarette to asthma attacks of child. 6. Smoking indoors in winter without opening the window causes asthma attacks. 7. Indoor air pollution is greatly increased by mold from basement and 4,000 chemicals of cigarette smoke released. 8. Stale, dry air of heated, cigarette, smoke, moldy air of smoker home causes asthma attacks and respiratory infections for asthma patient. 9. You are ruining you own health. 10. I can start another page with your health problems including development of COPD, emphysema, weight loss, general poor health. Are You Hurting Your Kids By Smoking? 4. Designate 1 area which will be closed off to smoke. (smoking room where the children are not to enter). 5. No smoking in the car if children are in it. Or not at all. 6. Wash your walls frequently. 7. Run a basement dehumidifier. Make sure there is no mold in the basement. StopMoldCold Recommends This Air Purifier For Cleaning The Air Of Your Home: Try this for No money 30 day risk free. If you do not like it, ship it back. Need some more reasons to check this out? No risk 30 day trial. Pay nothing and check it out. Up to 50% of proceed go to help charities that help wounded solders resulting from Afghanistan and Iraq in addition to helping terminally ill kids. Get $300.00 off purchase of 2nd air purifiers. Why did I Lump Smoking, Mold and Asthma? I grew up with smoking, mold and asthma. My mom was a 2 pack of unfiltered Pall Malls I will never open a window smoker. A young widow with 6 kids,it was her coping mechanism. She is my hero. Our basement was the typical old mildly moldy basement. As mom grew older, she shut all the windows. I would wake up in what was a white cloud . The upper respiratory infections started. Soon I was on inhalers and the sinus infections began. My mom was a simple woman who worked hard and provided as much as she could. She did not relate the smoking, mold and asthma. Neither did I. I just thought I had allergies and so did she. Did she realize that I had trouble with allergies and asthma partly due to her smoking? I think so back of her mind. Quit smoking especially if you have children. Since it’s addicting, get help. 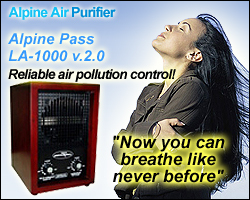 Buy air purifiers to clean the air. Follow steps to kill and prevent mold.